Wayne completed his Clinical Orthotics Program at the North Western University in Chicago in 1980. He spent six years with the Rehabilitation Center for Children (formerly the Shriner's Hospital) in Winnipeg fabricating braces for children. Wayne moved to Kamloops in 1986 to work in both hospital and private settings for 25 years. During this time Wayne furthered his training by completing a Certification in Pedorthics in 2001. Additionally, he has completed courses in biomechanics which has provided Wayne with specialized training in gait analysis and contemporary orthotics design. In 2011 Wayne joined a large modern Rehabilitation hospital located in Regina, Saskatchewan. Wayne contributed his expertise and knowledge of orthotics on many levels. In addition to his regular patient load, Wayne routinely collaborated with pediatric and neuro rehab physiotherapists to optimize patient function and mobility. Wayne is experienced with the use of F. E. S. stimulators for treatment of drop foot. When Wayne wasn't working with his own patients he was either supervising Orthotic Interns on their path to Certification, involved in orthotic research with a physiotherapy doctoral candidate: "Improving the function and tuning of A.F.O.s for optimal function", or working closely with one of the few remaining Orthopedic Shoe Makers left in Canada. Wayne enjoys solving foot problems. He utilizes computer aided design to manufacture orthotics and he is familiar with the most up-to-date orthopedic products. 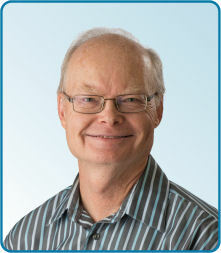 He hopes that his many years of experiences will benefit the patients in their rehabilitation at Kamloops Physiotherapy.